Hindus believe cows are the holiest of animals, which is why they refrain from beef even if they consume meat of other types. 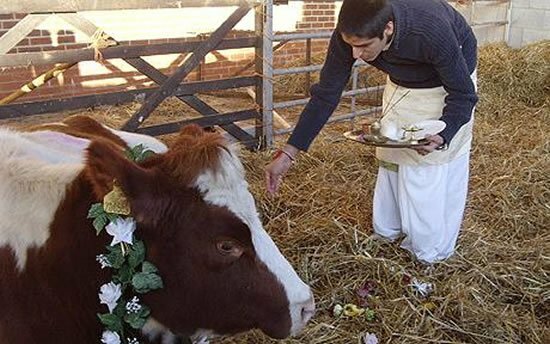 And taking the principle of ‘full and happy life’ for cows, Britain is gearing to consume its most expensive milk drawn from cows at a Hare Krishna farm owned by George “Beatle” Harrison for the first time. This dairy of 44 dairy Short Horns and Meuse-Rhine-Yssel cows produce 1,000 liters of milk weekly. 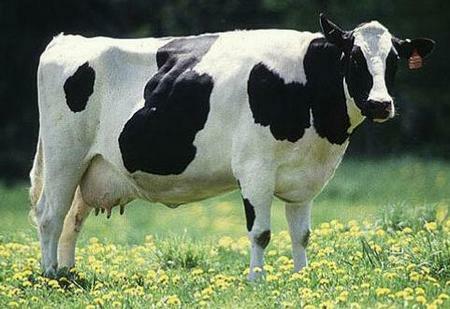 The cows are said to be milked in a shed that booms Sanskrit prayers, till the time the calves are ready to be fed. Called as Ahimsa Milk, the non-violently drawn pasteurized milk will be sols at £3 ($4) a liter around Harrow, London.